11am - 5.30pm until September. 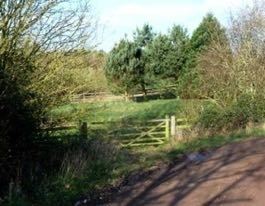 BY ROAD: A39 1 m west of Cannington turn north into small lane, "Oatley Lane" signposted "OATLEY. NO THROUGH ROAD". Satnav “Oatley Lane TA5 2NL”. Sometimes on open days we put a “Vineyard Open” down on the A39 by the signpost. Follow the lane over the hill for 0.6 mile. Keep left at top of hill by the slate “Oatley Vineyard” sign. 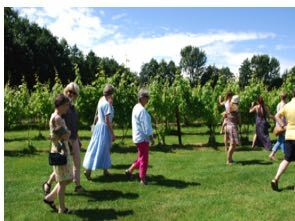 Lane is narrow but passable for cars, and ends at Oatley farmhouse and vineyard with plenty of space to park and turn. No coach access. (Seriously! Minibuses are OK but unwary full-size coaches have tried, and had to reverse half a mile uphill in a narrow winding lane, leaving big bits of trim in the hedge). PUBLIC TRANSPORT: nearest train and long-distance coach station is Bridgwater (5 mi). Taxi to the vineyard is about 15 mins. Bus (No 14 or 614/615) takes 20 mins from Bridgwater bus station to Cannington, runs approx hourly Mon-Sat, 2-hourly Sun. Then a 45 min walk, see below. Taxi from Taunton mainline station half an hour - very pretty run over the Quantocks. WALKING: Pleasant 45 min walk from Cannington via Chad's Hill, Sandy Lane then public footpath over fields and through wood via Knoll Green and past the pheasant pens down to Oatley. Rural views of Saxon hill fort to the north, Woodcock Down to the south and the Quantocks and distant coast to the west. Access to Oatley through 5 bar gate where the track turns right (pictured right). You will need OS pathfinder map or similar, sturdy shoes and to be able to manage stiles. All our wines, mixed cases, 6 and 3-packs and our popular visit gift vouchers are online here. We are Iain and Jane Awty. 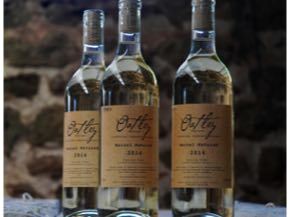 We planted the vines at Oatley in 1986 and 1987 and have hand- tended them ever since, with the help of our now-grown-up children, friends, neighbours and interested customers. 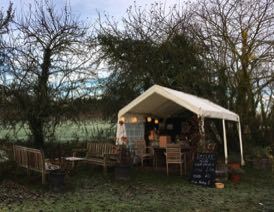 Our tasting tent in front of the farmhouse. All our wines are dry whites that have achieved EU PDO status, the highest quality standard for UK wines.